Umbrella Scheme for Education of Schedule Tribe (ST) children aims at reducing gaps in educational achievement of tribal students as compared to others. The strategy focuses on filling critical gaps in access to education, improving retention and quality, infrastructure augmentation, deployment of trained teachers, optimal use of funds, flexible approach to address geographic and economic diversity, close monitoring and evaluation, capacity building, etc. DFID allocated £ 2.5 million towards Direct Technical Assistance (DTA) for a period of three years i.e. from 2013 - 2016. 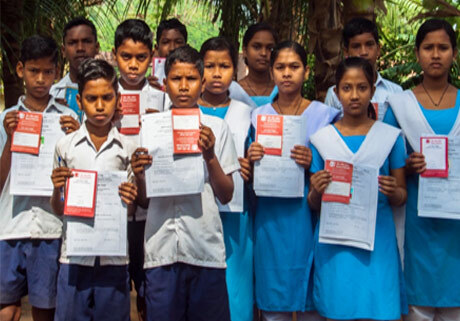 The overall objective of the DTA is to augment technical capacity within the MoTA, GoI in order to facilitate proper implementation of Umbrella Scheme for Education of ST Students aimed at effectively achieving the national commitment to the education of ST children as contained in Articles 15(4), 21- A, 45 and 46 of the Constitution of India. The main focus of the technical assistance at National and State level includes system reforms, setting up new systems, procedures, capacity building, development of data bank, research studies, effective mechanism for Direct Benefit Transfer (DBT) mode of disbursement of scholarships, single window scholarship web portal and sharing of good practices. Facilitated effective integration of tribal agenda and convergence with the Ministry of Human Resource Development/ Education and Ministry of Women and Child Development at the national and state level.